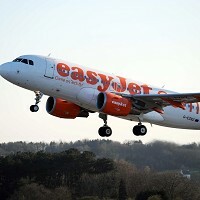 Budget airline easyJet has launched a new flight route between London and Jordan. According to the firm, the new service will run three times a week from Gatwick Airport to Amman, the capital and largest city of Jordan. This could lead to an increase in the number of British holidaymakers visiting the country which offers a wide range of attractions including deserts, castles and "unspoiled natural locations". People can also make a trip to the ancient city of Petra, which features areas of historical and archaeological significance. However, travellers should remember to take out travel insurance before heading off on holiday. Guy Stephenson, the airport's commercial director, said: "EasyJet's brand new route to Amman is not only exciting for Gatwick as we strengthen our links to the Middle East, but also for passengers who now, in these price-sensitive times, have a truly low-cost option to fly to this wonderful ancient city from London. "EasyJet is a valued airline and we are pleased to be able to support its growth plans and open up more destinations for its passengers." EasyJet is also planning to launch new flight routes from Gatwick to Izmir in Turkey, Verona and Bologna in Italy, Seville in Spain and to Aberdeen in the near future.